Gross-motor skills are those that enable us to move around our environment and engage in games and sport. They include skills such as walking, running, jumping, climbing, throwing and catching, as well as balance and postural stability. Gross-motor skills predominantly use the large muscle groups in the trunk, arms and legs. They are also dependant on good sensory-motor development which involves body and limb awareness, and motor-planning skills. Gross-motor skills are the basis from which children develop other skills such as fine-motor skills and self-help skills. 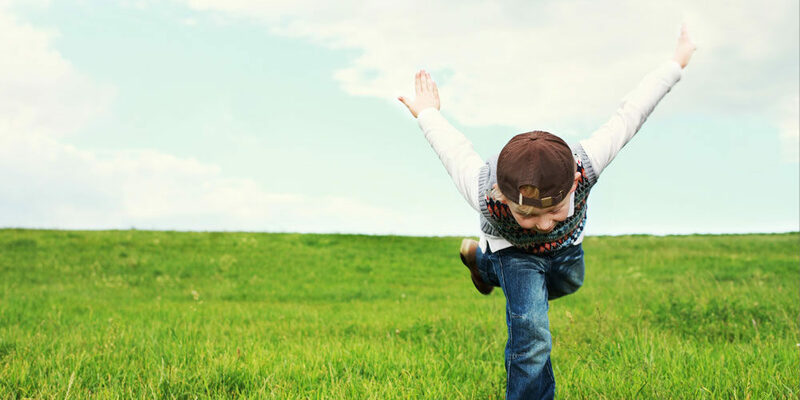 If your child is showing any of the following signs, they may be experiencing gross-motor difficulties. Core strength activities help develop good posture and improves muscle strength in the trunk, hips and shoulders. Balance activities improve dynamic balance, automatic postural reactions and core strength. The following activities can help to improve body awareness and organisation of body in response to sensory input such as touch, body position, movement sense, vision, and hearing. Crawling helps to improve core strength, upper limb strength and shoulder stability, bilateral coordination and weight-shifting skills. These are beneficial for fine-motor activities and improving body awareness..
Develops aerobic fitness, muscle strength, dynamic balance skills, understanding of momentum, and spatial awareness. Jumping improves core and lower limb strength, timing and rhythm, bilateral coordination and visual perception skills. Ball games are excellent for eye-hand coordination and bilateral coordination which have carryover benefits for classroom activities. If you have concerns about your child’s gross-motor development, consult a physiotherapist or occupational therapist who can assess your child and advise on appropriate activities for your child.